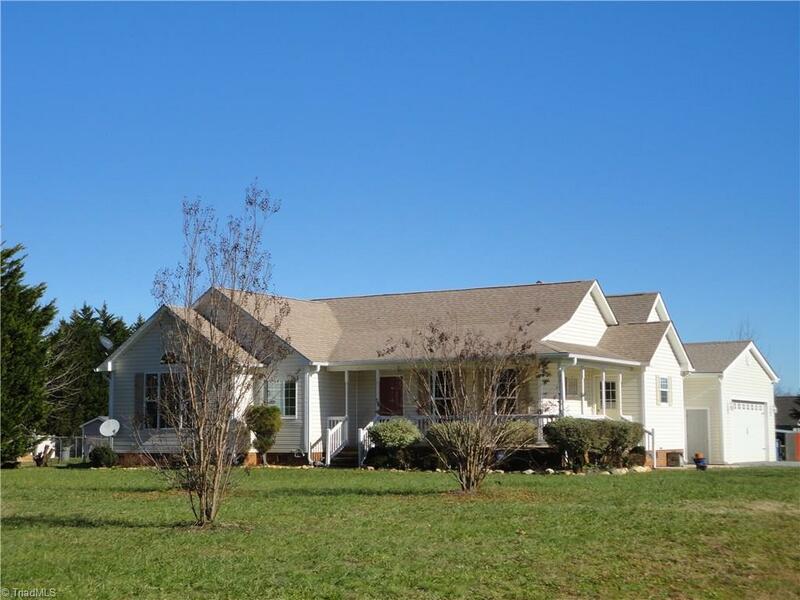 Adorable 3 bed/2 bath home with bonus room, wrap around front porch, on acre lot, in Pleasant Garden. Beautiful hardwood floors in LR & bedrooms. Large master suite w/garden tub, separate shower, & walk in closet. Kitchen w/plenty of cabinets, pantry, & breakfast area. Dining Rm/Den combo. Bonus Rm could be used as 4th bedroom. Oversized 2 car garage. Wired workshop w/attic storage. Above ground pool. Great Schools. USDA Eligible Area.